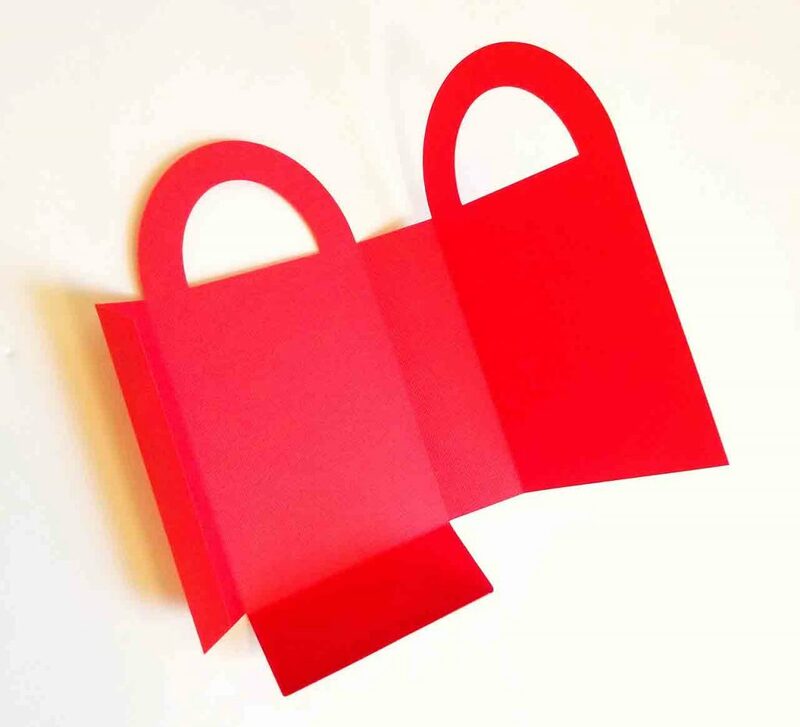 Cut bag shape from red cardstock, and use the scoring wheel if you have it. (Use single scoring wheel for regular cardstock.) If not you can edit the tools to use the scoring stylus. Click on “Edit tools.” Then this box pops up and you can select the stylus instead of the wheel. *Read everything you need to know about the scoring wheel. 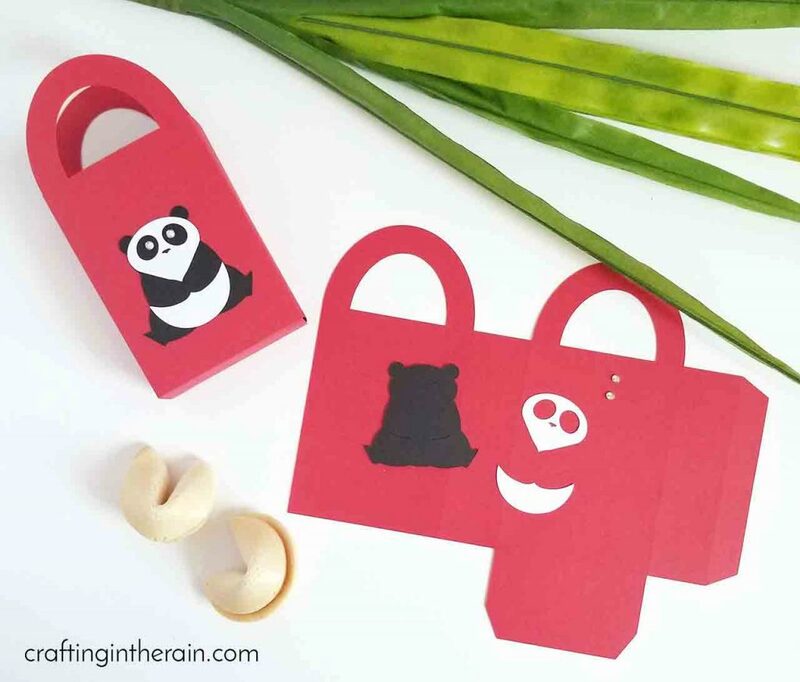 Cut panda bodies from black cardstock and other shapes from white. Use the small white eyes that get cut, or substitute small sticky gems like I did. Glue the panda pieces onto the bags before folding. Then fold on the score lines. There are lines for the sides, the bottom, and the tabs used to glue the back and bottom to make the bag. 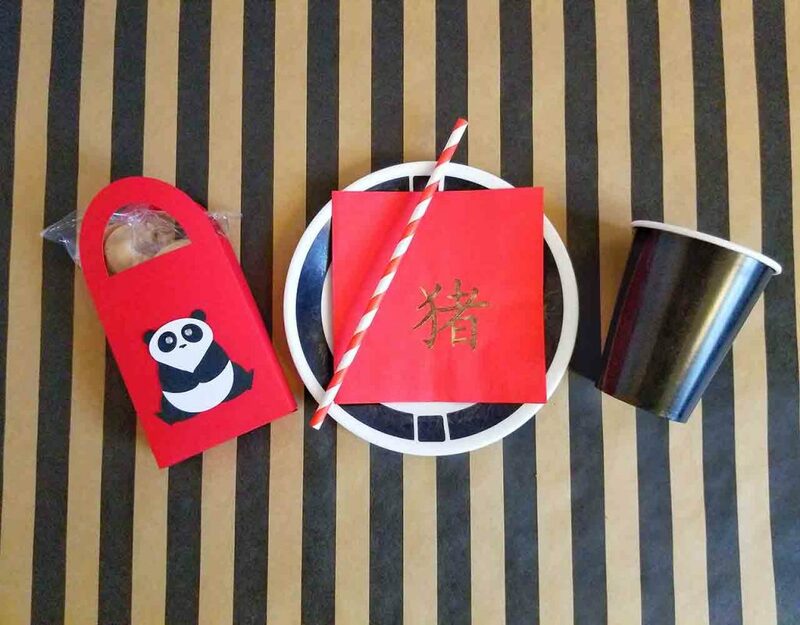 Assemble panda gift bags with hot glue. I love using hot glue for paper and cardstock projects because you get a strong hold quickly. Tape runners and glue just don’t hold up well for me. Just be careful with your fingers! At the size I designed it, each bag holds 3 fortune cookies. This size works great as a small favor sitting right on the plates before dinner. And I don’t know about you, but my kids love it if there’s a treat waiting at their place before dinner even starts! If you want it to hold more, make the project bigger in Design Space. 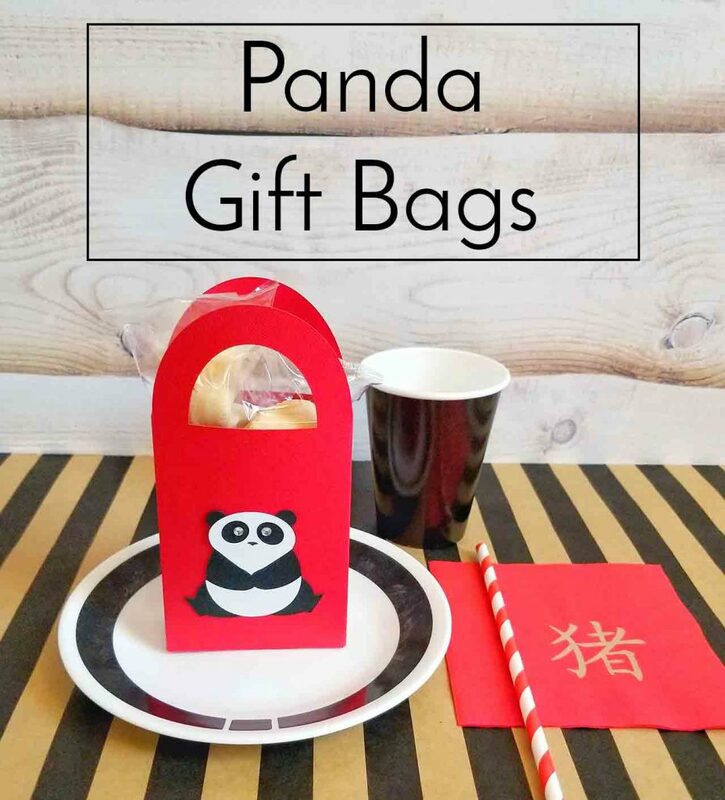 What would you use these panda gift bags for?